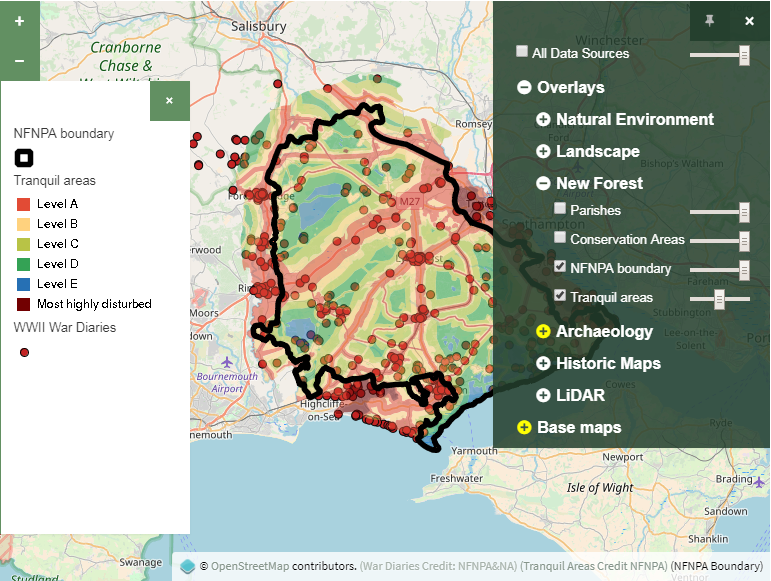 Wordpress and Geoserver integration for New Forest National Park in UK. 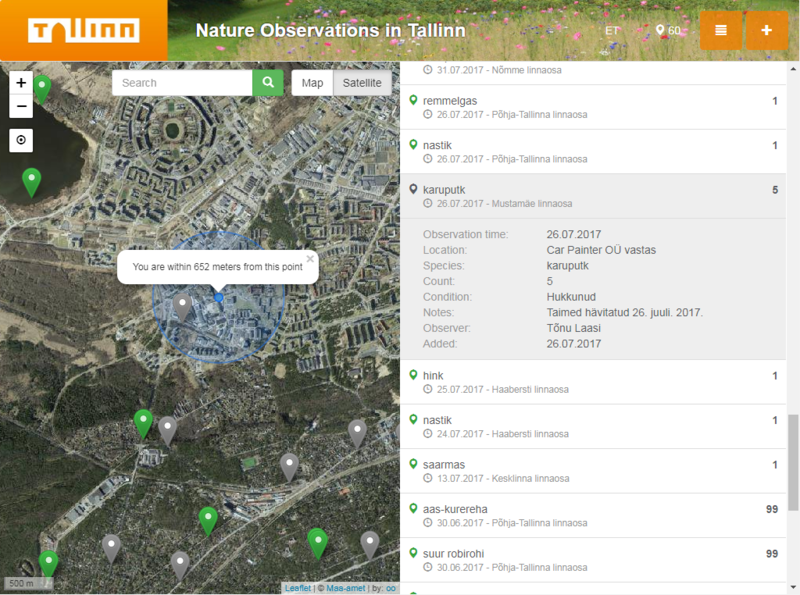 GIS solution for collecting and displaying nature observations in city of Tallinn. Data saving and publishing is done by GeoForms API server and front-end based on GeoForms client which was improved with support to multiple languages. GIS solution for collecting and displaying sightings results for frogs on the road. 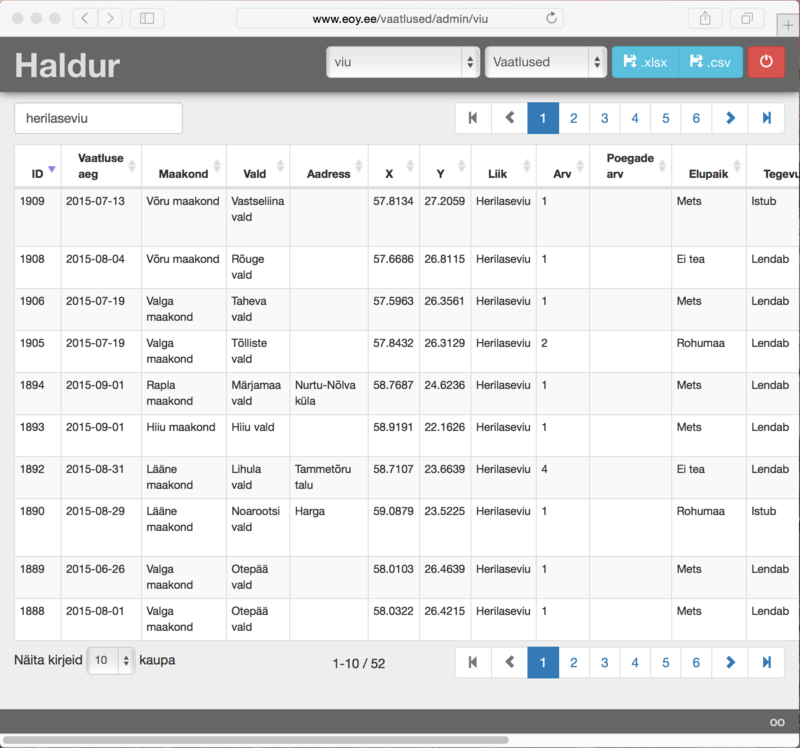 Data saving and publishing is done by GeoForms API server and front-end based on GeoForms client. I also created project's web page with Pico CMS. GIS solution proof-of-concept for displaying, analysing and submit sales data on map interface for US-based international SaaS (Software as a Service) company, who offer sales performance services for it's clients. PoC contains PostGIS database, Geoserver backend, PHP-based API interface and Leaflet map for calculating and displaying sales territories and salesman-clients relationships. 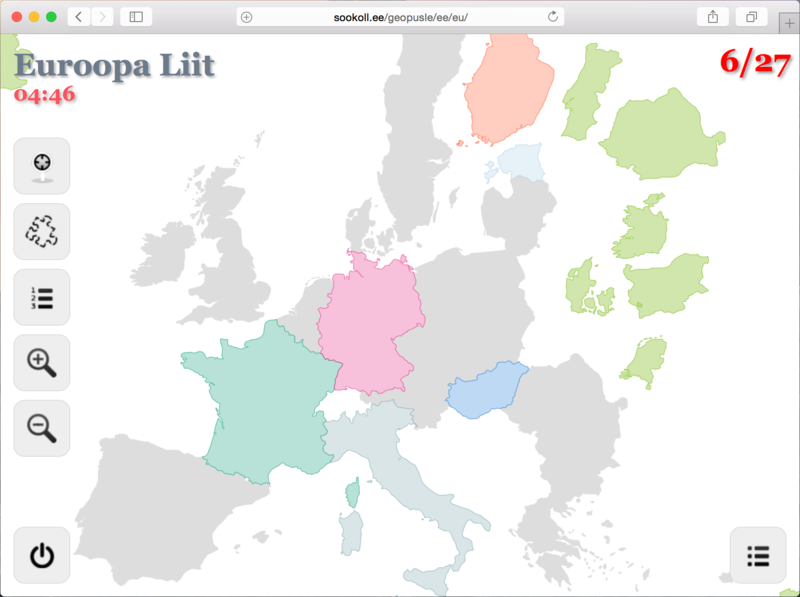 GeoForms: Web forms with location. 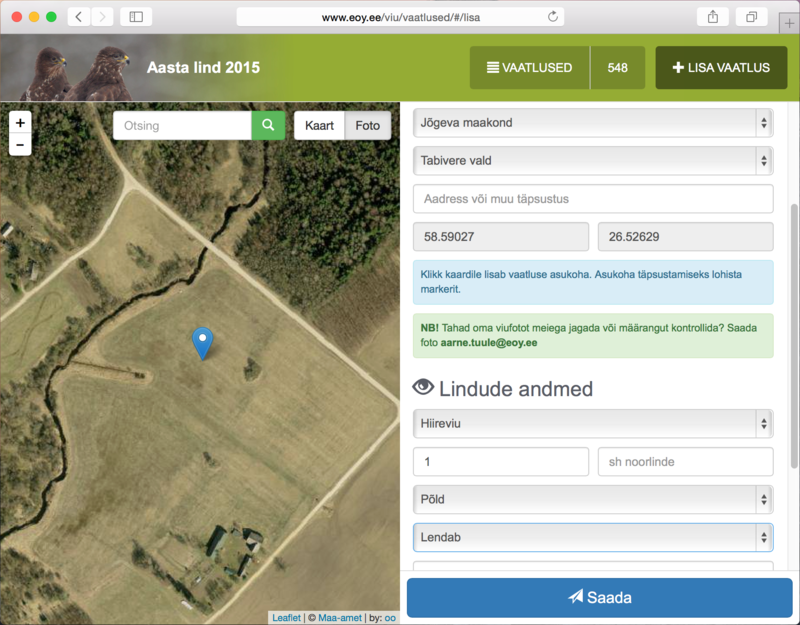 GIS solution for collecting and displaying sightings results for several Estonian Ornithological Society projects. Each project have it's own small HTML5/CSS3/JS application with Leaflet map. Data saving and publishing is done by GeoForms API server. 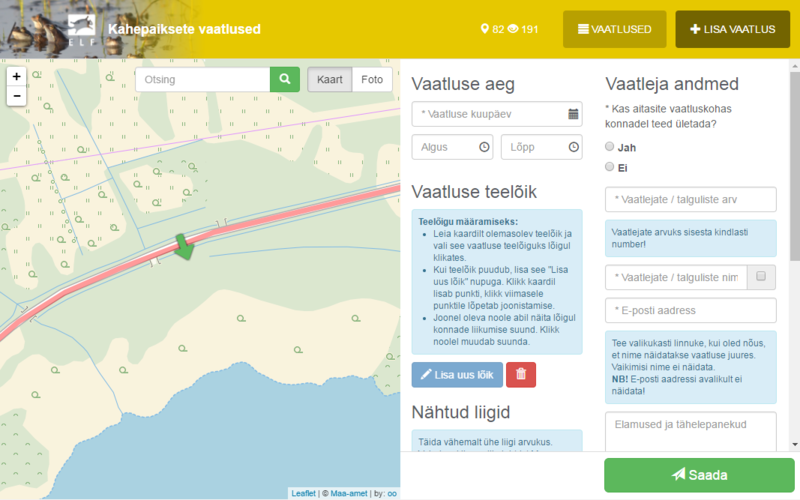 Tool for Estonian Geocache game for planning geotrip. It uses Openlayers 3 map with OSM layers. Pure HTML5/CSS3/JS application. 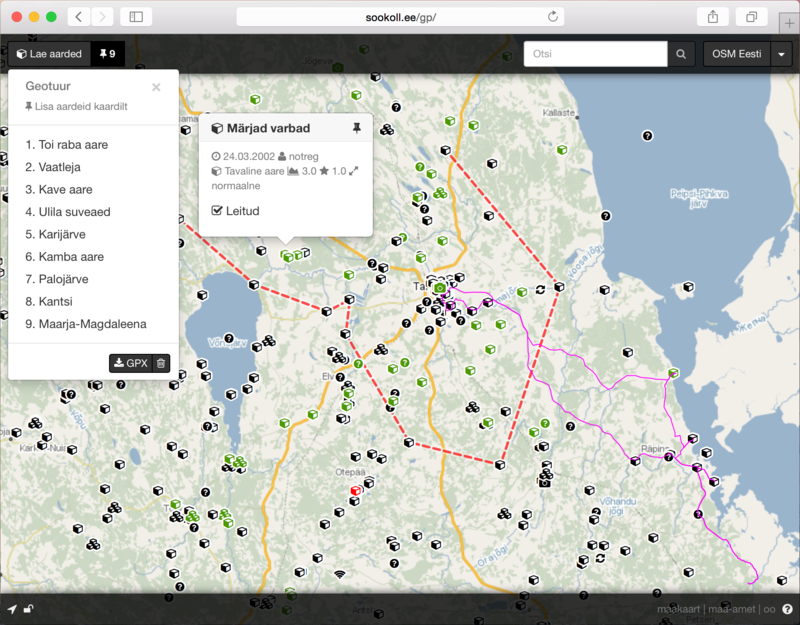 Will generate GPX-route from planned caches that gamer can load into GPS-device. Gamer can drag recorded GPX-track back to map for easyer cache logging. I made this game just for fun. It is based on OpenLayers 2 and jQuery, backend is written in PHP and geometries are hold in MySQL database.